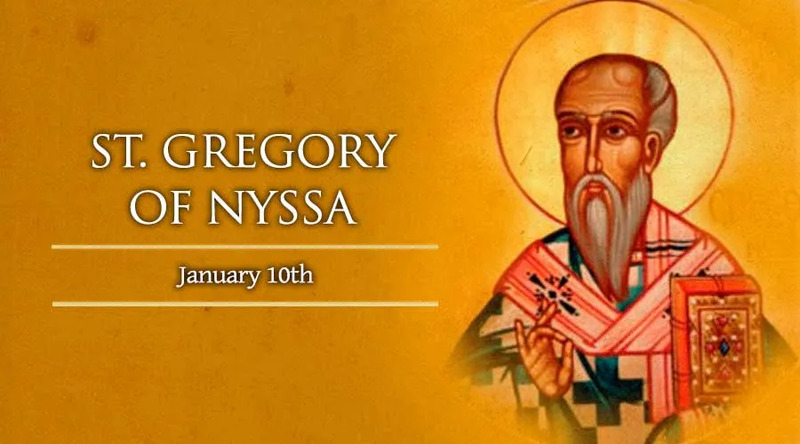 Gregory of Nyssa was born into a deeply religious family. His mother, Emmelia, was the daughter of a martyr, and two of his brothers, Basil of Cæsarea and Peter of Sebaste, became bishops like himself. His eldest sister, Macrina, became a model of piety and is also honored as a saint. It would seem that the young Gregory married at some point: there exists a letter addressed to him by Gregory of Nazianzus condoling him on the loss of a woman named Theosebeia, who must have been his wife. According to Gregory of Nazianzus, it was his brother Basil who performed the episcopal consecration of Gregory around 371. On arriving in his see, Gregory had to face great difficulties. Demosthenes, Governor of Pontus, ordered the Bishop of Nyssa to be seized and brought before him. A Synod of Nyssa (376) deposed him, and he was reduced to wander from town to town, until the death of Emperor Valens in 378. The new emperor, Gratian, published an edict of tolerance, and Gregory was able to return to his see, where he was received with joy. In 379 he assisted at the Council of Antioch, which had been summoned because of the Meletian schism. He also asserted the faith of Nicea, and tried to put an end to Aryanism and Pneumatism in the East. It is very probable that Gregory was present at another council, the Council of Constantinople in 383. Between 385 and 386 he disappears from history, but not without leaving a significant number of theological writings.